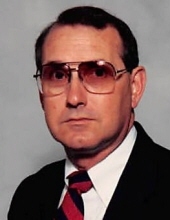 CARBONDALE - Charles Dale Travelstead, age 74, passed away Friday February 8, 2019 at Century Assisted Living in Carbondale IL due to complications from Alzheimer’s. He was born October 9, 1944 in Creal Springs, IL. He attended schools in Creal Springs, Marion and SIU. He married the “love of his life” Anne Elizabeth Brames on April 19, 1994 in Jamaica in a sunset wedding. He is survived by his wife, two children, Gregory Hunter Travelstead of Aurora CO and Jeffrey Scott Travelstead of Corvallis OR (wife Billee) and his “adopted daughter”, Tabetha Mitchell; four grandchildren, Austin (Cody) Travelstead of Desoto IL (wife Crystal), Jacqueline Hopkins of Chester IL, Ian Travelstead and Lily Travelstead of Corvallis OR; Sister, Mary June Boren of Benton IL, many nieces and nephews, and many wonderful cousins. He is also survived by his loving forever caretaker, Tabetha Mitchell, who he referred to as his “adopted daughter”, his constant companion and “co-pilot”, his dog Petey who he adopted from St Francis Animal Shelter in 2012. He was predeceased by his Father and Mother, Kenneth and Myrtle Travelstead, nephew, Brad Boren, his first wife, Anna L. Travelstead, who is the mother of his sons, Scott and Greg, and many loving and supportive cousins. He retired from GTE in 2000 after 38 years. He lived and loved every minute. He then bought a California Closets Franchise which served Indiana, Kentucky, and Tennessee. He sold that in 2004. He then recreated himself as Facilities Director at Brehm Preparatory School in Carbondale. He was affectionately known as “Grandpa” to the students. He loved his position at Brehm but retired at age 66 due to illness. During his extensive career, he was a member of the Lions Club for over 20 years – Downtown Steering Committee – Carbondale Business and Development Council – Chamber of Commerce Executive Board – Memorial Hospital Advisory Executive Board. He was an avid golfer – member of Jackson Co Country Club and Stone Creek, since it opened in 2000. He was a 20-year Mason. He was a loyal supporter of SIU Athletics for over 40 years and loved all SIU Athletics and coaches. He was finally able to fulfill his “Life’s Dream” in 2005 when he moved to a home on the golf course at Stone Creek. He proudly served on the Stone Creek Board for 4 years and on Buncombe Water District for 6 years – appointed by the Jackson Co Board. Per his wishes, there will be no services. We would like to express gratitude to Tim and Tabetha Mitchell that have been there for him during this terrible journey of Alzheimer’s disease. Words can never express how much their love and support has meant. To summarize Charlie’s life: Listen to the words of the Frank Sinatra song “Did it my way”. It so describes Charlie. To send flowers or a remembrance gift to the family of Charles Dale Travelstead, please visit our Tribute Store. No services will take place. "Email Address" would like to share the life celebration of Charles Dale Travelstead. Click on the "link" to go to share a favorite memory or leave a condolence message for the family.